Miles Raymond (Paul Giamatti) and Jack Cole (Thomas Haden Church) are two longtime friends who decide to go on a road trip through California’s wine country the week before Jack is set to get married. Both men are just into their forties, and Miles in particular is going through a significant midlife crisis. Freshly divorced and dealing with a serious case of depression, Miles is struggling to come to terms with the fact that he has done nothing of value with his life. His aspirations of being a writer are dwindling by the day, and his heavy drinking isn’t exactly helping matters. Jack is essentially the polar opposite. He’s a charming, good-looking man who had a semi-successful run as an actor. Now, he’s only doing commercials, but he seems to be in good spirits nonetheless. Jack’s weakness is that he is a major womanizer, and he vows to get laid as much as possible before his wedding next weekend. The two men couldn’t be more different, and the only thing that seems to keep them together is the fact that they were once roommates in college. While staying in the wine country, both of them manage to connect with local women. Jack immediately hits it off with a barista named Stephanie (Sandra Oh), and he pushes Miles in the direction of Maya (Virginia Madsen), a waitress Miles has known from his previous trips to the area. Again, their approaches are completely different. Jack is assertive and direct, whereas Miles does everything in his power to avoid having to be one-on-one with Maya, for fear of being let down. What impressed me most about Sideways is how it portrays Miles’s struggles with depression and lack of self esteem. As someone who has dealt with depression in the past (though not quite as extreme as shown in the film), I can vouch for Paul Giamatti’s awkward performance here. His portrayal of a man crippled with self doubt and fear of failure is absolutely spot on. His character is not without flaws — one early scene sees him steal money from his own mother — but Giamatti plays him in a way that still manages to make us empathize with him. This is not an easy feat, especially considering how Miles just lets Jack continue to cheat on his fiance without giving it too much thought. Thomas Haden Church got an Oscar nomination for his role in the film — and he certainly excels at making his character completely unlikable — but it’s Giamatti that deserves the most recognition. The women in this film, Madsen and Oh, are no pushovers either. Madsen’s ethereal smile masks the pain that Maya has been through. She is recently divorced as well; it must be a combination of that and her shared love of wine that draws her to Miles. Oh proves to be a real firecracker, and hell hath no fury like a woman scorned. 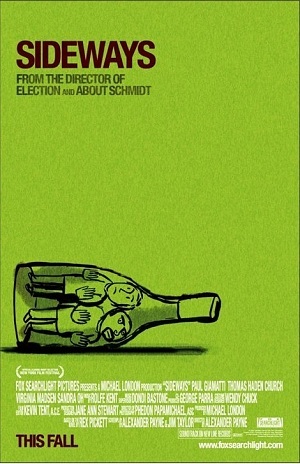 While Sideways nails its more dramatic aspects, it’s the comedy that really gives it a proper balance. There are a few moments that verge on the realm of slapstick thanks to a series of misunderstandings, but they fit right in. Even the wine talk tends to be engaging — it’s so insightful that apparently Miles’s praise of Pinot Noir provided a noticeable increase in sales in some areas. Sideways is smart, clever and entertaining in all the right ways. Nice, concise critique of a film I missed its first time around. Wine snobs can be so easily misunderstood. Paul Giamatti delivers in ways that more than hints that he may be this generation’s Karl Malden or Eli Wallach in regards the Character Actor’s craft. Thomas Hayden Church is proving to be no slouch, either. While Virginia Madsen surprises. In one of the better Romantic Comedies to come down the pike. Hi Jack, great to hear you are a fan as well. Paul Giamatti is pretty much the ultimate character actor, and this may be my new favorite performance from him. He portrayed depression in such a real and natural way — something few are able to do successfully. I love this idea. 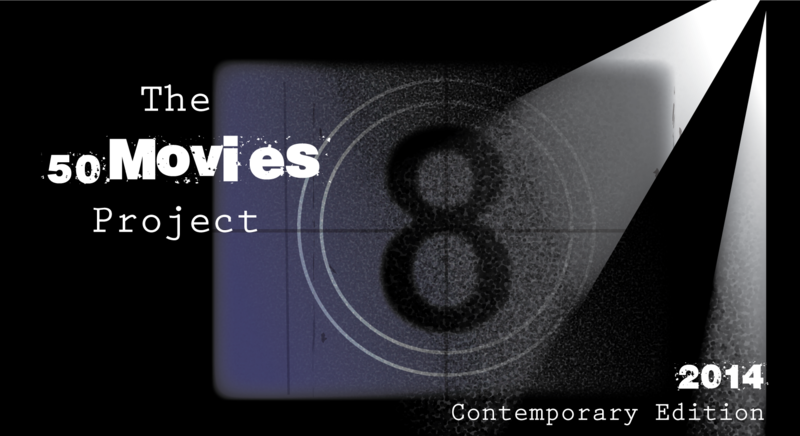 I am doing something similar for my reviews tryign to watch some films I have not seen. Btw I love sideways one of my favorite flicks. Awesome! This is my fourth time doing this project, and I’m still reaping the benefits of it. It’s the kind of thing that could go on forever just because there are soooo many movies out there to see. Entertains and amuses me each time. One of the best screenplays of the 2000s I would say. I’m actually not much of a wine drinker either, yet the film is still in my top 10 of all-time! Shame Thomas Haden Church got somewhat typecast as the friend character in the years that followed, he was never better than in Sideways. Wow, top 10 of all-time? Good stuff. I’m blanking about Haden Church after this movie, but I wouldn’t be surprised to see him typecast based on this role. Great performances from him and Giamatti. Nice review! I personally love this movie, probably in my top 50 of all time. Giamatti is just such a terrific actor, and I love seeing him chew into a leading role, since he usually plays supporting characters. I thought Haden-Church was great as well. I disagree with you on that he’s totally unlikable, however. I think he makes a lot of bad decisions, and you don’t approve of everything he does; but as the movie wears on, I was able to at least empathize with him and he seemed like a real human-being. Hi Kevin, thanks for stopping by! I can see where you’re coming from with Haden Church’s character. His breakdown near the end showed that perhaps there was more to him than meets the eye. Still, I can’t help but feel that he would fall into the same pattern again at some point. Hi, very nice post. I LOVE this dark comedy. What foils as friends and what a negative-Nancy Paul Giamatti’s character is. When he comes running out of the house with the naked man hot on his trail, I laugh hysterically every time. There’s a lot of layers to the film. That scene… haha! It had me in stitches. I was really surprised with how genuinely funny this film was. Definitely a darker comedy, but that’s right up my alley. I remember you telling me you loved this one Eric. Boy I still need to see it but I really like the cast on this one. Good review Eric. To me, now, at this moment in my life, this movie’s a good one. However, give me at least ten or twenty years from now, and it’ll probably be a great one that just hits me harder than ever before. I can imagine this film getting even better as it grows in age — much like a fine wine. Thanks, Dan. Sideways is interesting because I remember liking it quite a bit in the theaters, but its reputation has taken a real hit over the years. I’m not really sure why, either. At some point I need to go back and check it out again. I really like Paul Giamatti and Virginia Madsen in this movie. Wow, I hadn’t heard any backlash on the film. I wonder if it’s just because it received so many awards/nominations. That seems to happen a lot. Sideways is a wonderful film. You’re absolutely right about Giamatti deserving more credit than he got for this role. He was spot-on all the way through. Great review, Eric. Thanks, Wendell. 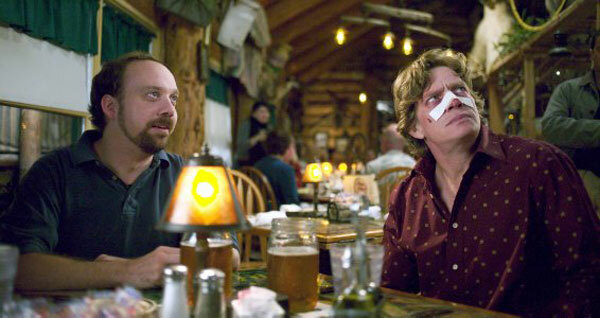 I was surprised Giamatti didn’t get an Oscar nod — he was the clear highlight in my eyes. Hi there, Eric! I have nominated you for a Liebster Award! Check out my blog for details: http://cumuloquoise.wordpress.com/2014/08/16/liebster-blog-award-nominated/ I hope you accept, and I look forward to reading more posts from you!